26" 1 - 0 : Willian sends Westwood the wrong way with a calm, collected spot kick! So nearly 1-0 down at one end, Chelsea are 1-0 up! This game has come to life, to say the least! 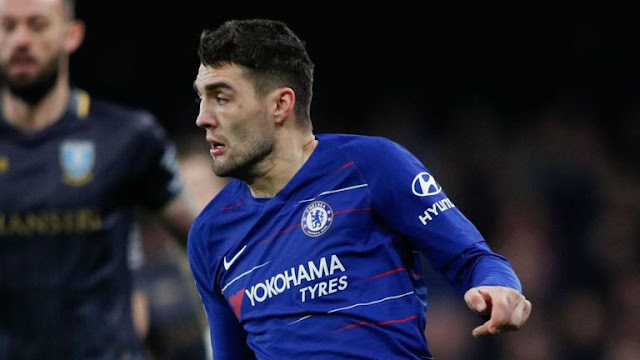 2 - 0 64" Christensen lofts the ball over the top for Hudson-Odoi in the box, a fine delivery, but the youngster has Fox for company. 83" 3-0 That's three, and that's that. Chelsea with an extremely safe passage into round five. He picks the ball up on the left, plays a lovely one-two with Giroud, and curls a beauty into the far corner past Westwood. Brilliant goal. 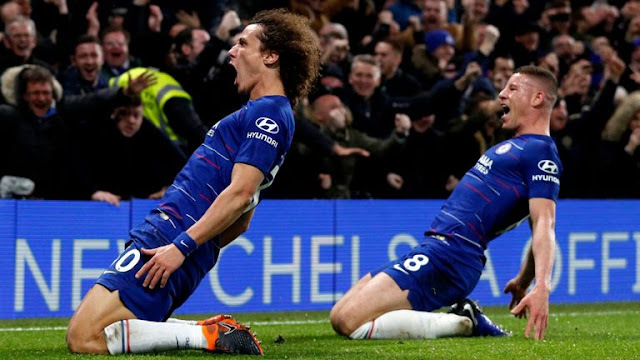 Barkley 6, Kovacic 8, Hudson-Odoi 8, Higuaín 7, Willian 9. Subs: Jorginho N/A, Loftus-Cheek 5, Giroud 5. Sheffield Wednesday FC : Westwood 7, Palmer 5, Fox 5, Pelupessy 5, Fletcher 5, Bannan 5, Thorniley 5, Lees 5, Reach 6, Boyd 5, Hutchinson 5. Subs: Nuhiu 5, Joao 5, Forestieri 5. Callum Hudson-Odoi has been directly involved in five goals in his last five starts for Chelsea in all competitions (two goals, three assists). Willian has now scored 51 goals in all competitions for Chelsea, including 10 in 22 FA Cup appearances. 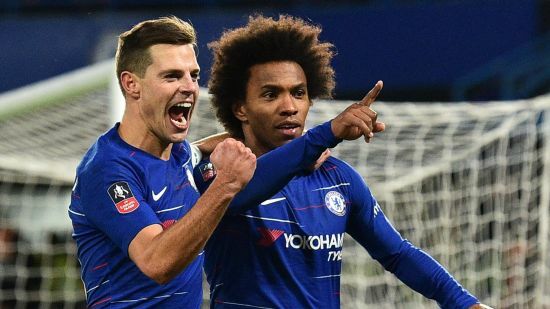 Since his first appearance in the competition, only Olivier Giroud, Sergio Aguero and Romelu Lukaku (all 13) have scored more FA Cup goals than Willian. "It's an amazing football club Sheffield Wednesday, fantastic fan-base and they will be very vocal on Sunday evening," he added. "I don't think anybody involved in Sheffield Wednesday needs reminding because everybody realises how big the club is and the potential it has. "But maybe a reminder to the rest of the football world that Sheffield Wednesday are playing in a huge game." 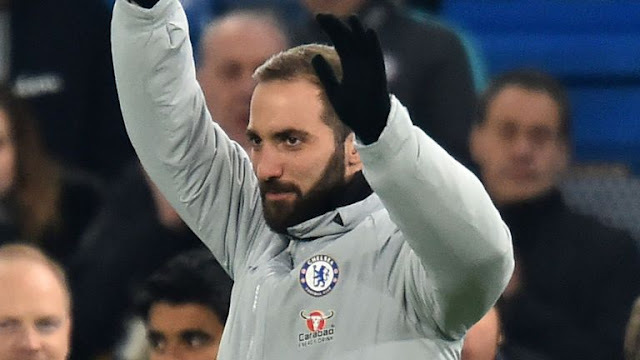 "We're talking about a player who has scored not only in Italy but everywhere, also in the Champions League.Chelsea assistant coach Gianfranco Zola says they need goals from new striker Gonzalo Higuain and is confident the player will succeed"I'm sure he can handle expectations. He's always produced good numbers wherever he's been. We're going to help Higuain to get his goals."